Here it is folks. My own chili. And my kids dig it. I do realize that not all kids are made the same. And some people loathe legumes. And yes, my chili does include legumes- just to be clear. It's reminiscent of the Wendy's chili flavor, which is a mild flavor (if you aren't in the states, it's a burger chain) minus the giant chunks of hamburger. I like my meat broken up into tiny pieces. 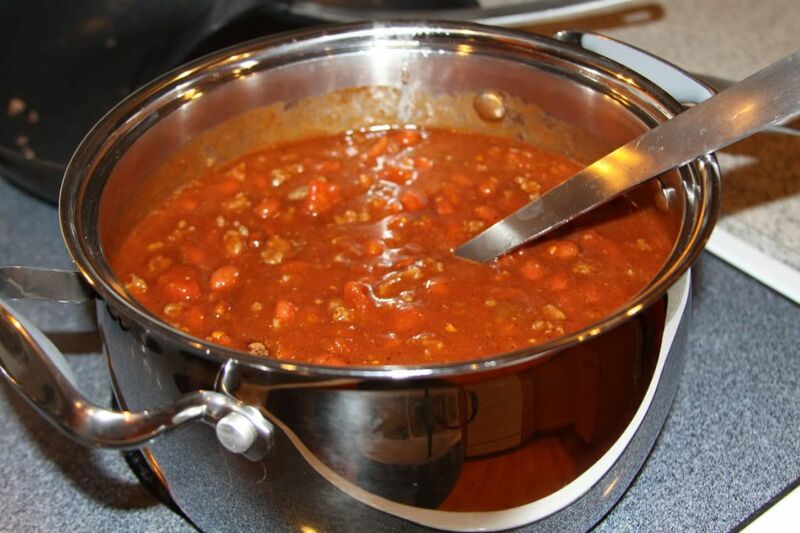 And I like my chili to be a little on the soupy side so there is something to soak up in your cracker or corn bread. I love soups and chilis because they are so forgiving, even for me. And they are perfect on a cold autumn or wintry day. Did I mention they are predicting snow here this week? Throw it all together and simmer until you achieve the desired flavor. Easy Peasy. My favorite kind of meals. And the best part? It's great for leftovers. Warm it up, add some cheese, and voila. Oh, and on a sidenote- I've had many people tell me that they've tried the pumpkin chocolate chip muffins or are planning to. So, I thought I'd let you know that I made an addendum to my last week's post. The next Martha shared some of her very own tips. Addendum from the NEXT Martha herself: I have never added the almonds, I dont think they need it. I use semi sweet chips but this last time I used bitter sweet and they were quite extraordinary. The key to moistness is to not over mix or over bake them. I also use foil muffin papers. The smallest can of pumpkin I have found is twice as much as the recipe calls for so I always add about 1/4 cup extra, I think that makes them more moist as well. Another tip: load the batter into a large Ziploc, seal it and cut one corner about an inch. Perfect way to fill the muffin cups without a mess. You can also find it along with the original post here. Happy Tuesday Ya'll. Thanks for stopping by. As always, if you want to link up grab the button and happy hoppin! We had a great turnout last week. Lots of fab recipes. Yummy! 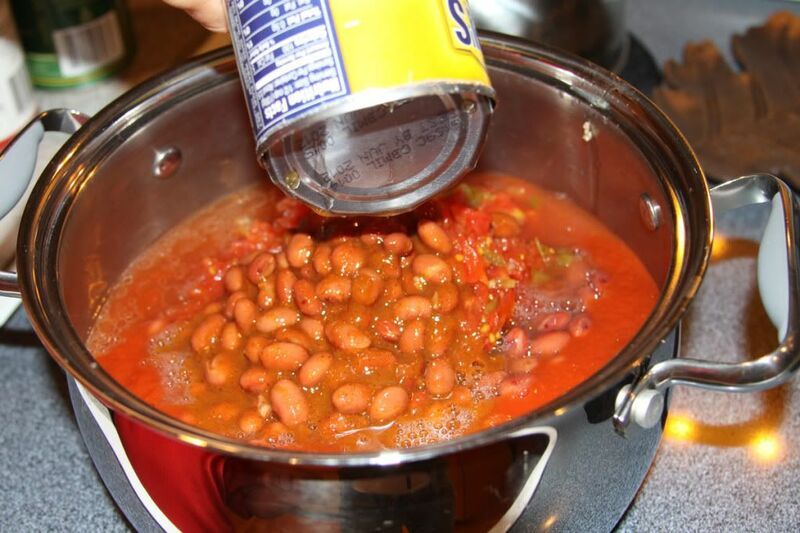 I love a good chili recipe! Hope all is going well for you! Mmmm... I love me a good chili. Mmmm...looks wonderful! I love chili. I'm just cooking up a mess of fettuccini with peas and ham to share in tomorrow's hop. Looking forward to visiting all the great recipes. Love chili! 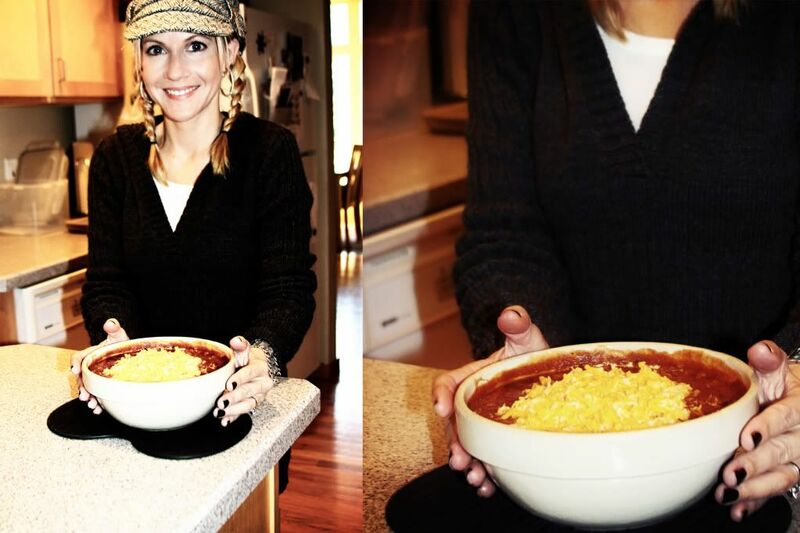 I love all the different ways to make it yet it's still chili! This sounds wonderful! I can't wait to try it! Thank you for the blog hop!! My hubs is a kidney bean chili guy - and I am a pinot bean chili girl! It all depends on who buys the beans! LOL!We use spaghetti instead of corn bread, though. Don't now that heritage, but it's the way my fam always cooked it! This weekend is a chili weekend! Your chili looks delicious! Thankfully, it's now cold enough for a pot full! Chili's always delicious. I love its spicy aroma and its wonderful flavors. ok, this sounds soooo easy and GOOD! I LOVE Wendy's chili so it's perfect! I'm going to make it tonight. Thanks for the easy recipe! Chili sounds perfect in this weather! I shared my cranberry yogurt, just to get in the holiday mood! Oh my... snow?! Already? Sounds like perfect chili weather to me! Thanks for hosting the Tasty Tuesdays bloghop. I use the mild seasoning for chili,too. I may have to try to add more cumin and chili powder. My kids are funny acting about beans so I haven't figured out an alternative yet. This recipe makes me want to try again. 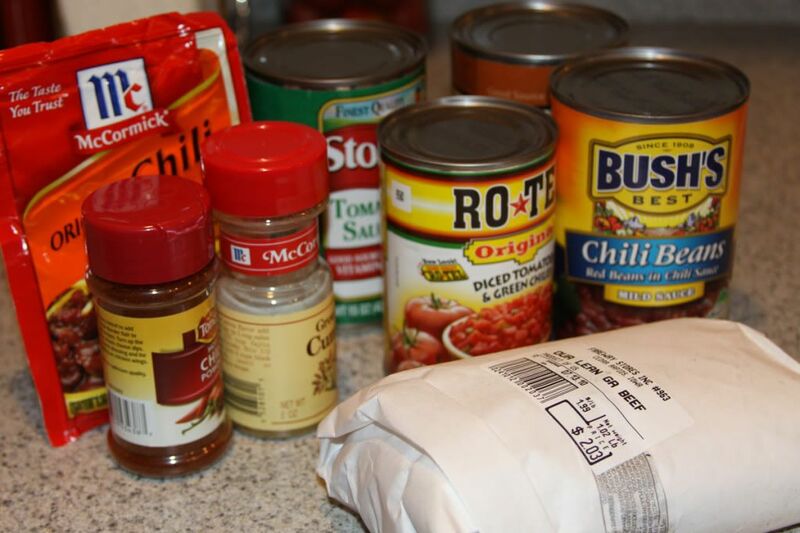 Making chili tonight too, I ran out of chili seasoning so see how it goes. I Luv Chili. Yours looks to die for with all that cheese. So glad I was able to participate this week since I've been AWOL for a couple of weeks. I totally rocked those high pigtails when I was that age too. awesome. Great post,I so much love this post. thank you sooooooooooooooooooooo much for uploading it. Yumm! 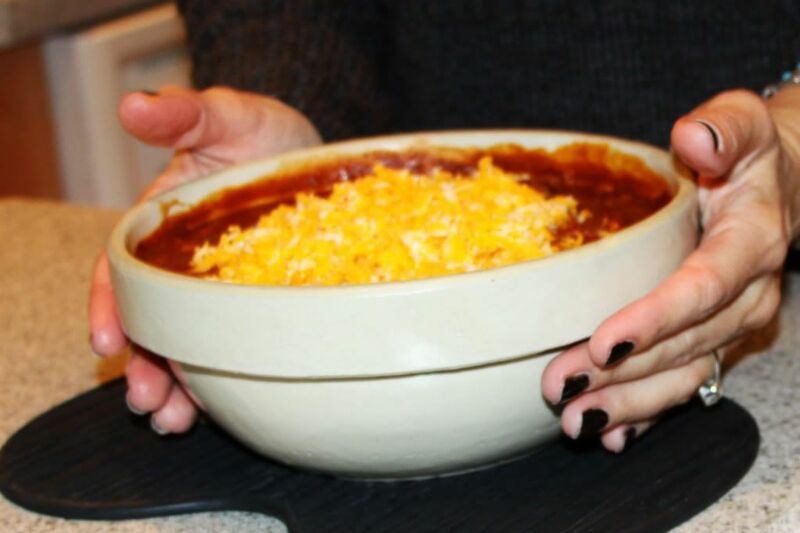 I love chili and I'd love a bowl of yours right now! p.s. did you get snow yet?? ?